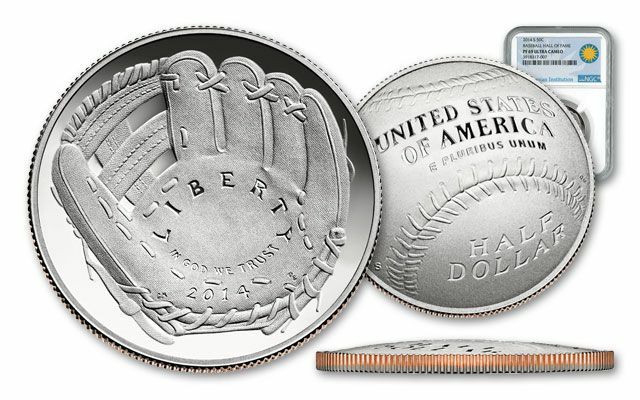 The curved design of the 2014-P Baseball Hall of Fame Commemorative Half Dollar and Silver Dollar proofs is a first in American AND U.S. Mint history! 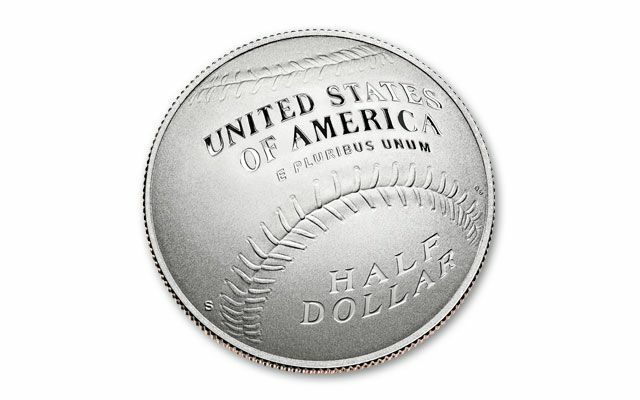 The outward-curving side of the coin depicts a baseball and the inward curve echoes that of a leather baseball glove. 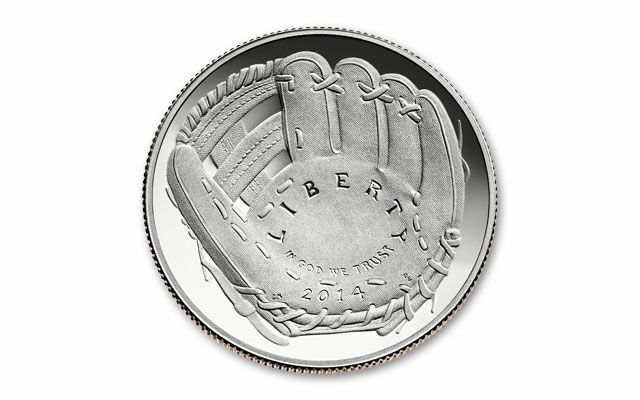 The U.S. Mint hit a home run with this one! 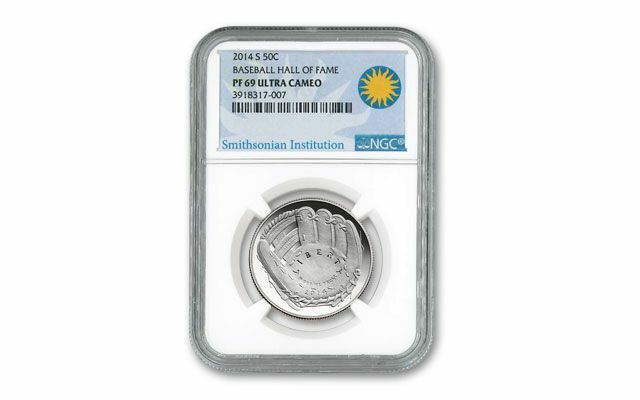 Each legal-tender Half Dollar is struck in cupro-nickel and is graded Proof-69 (PF69) by Numismatic Guaranty Corporation (NGC). 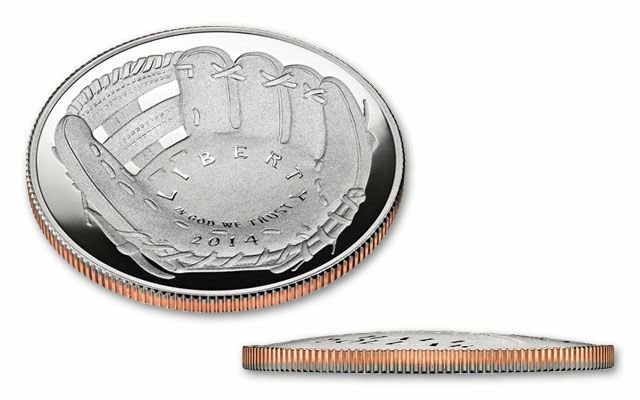 A must-have for every coin collector!